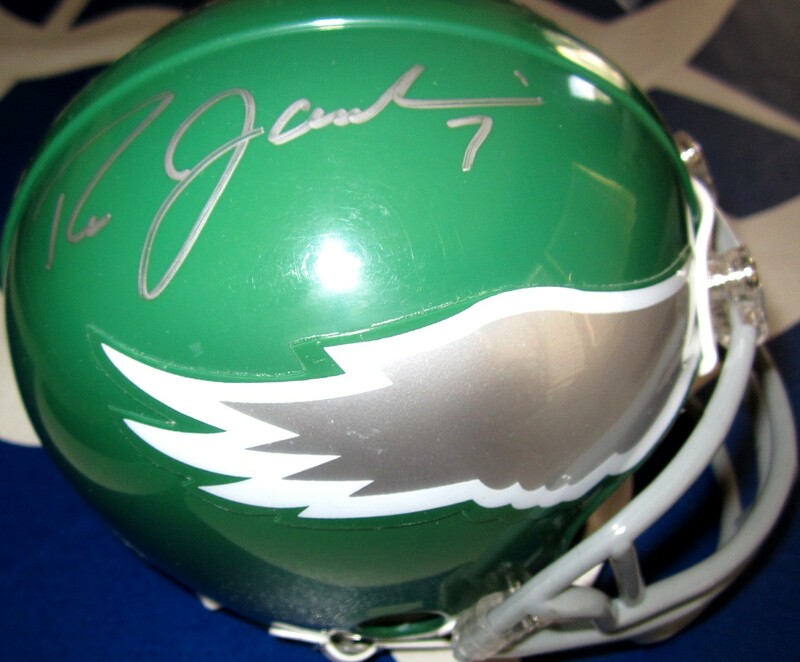 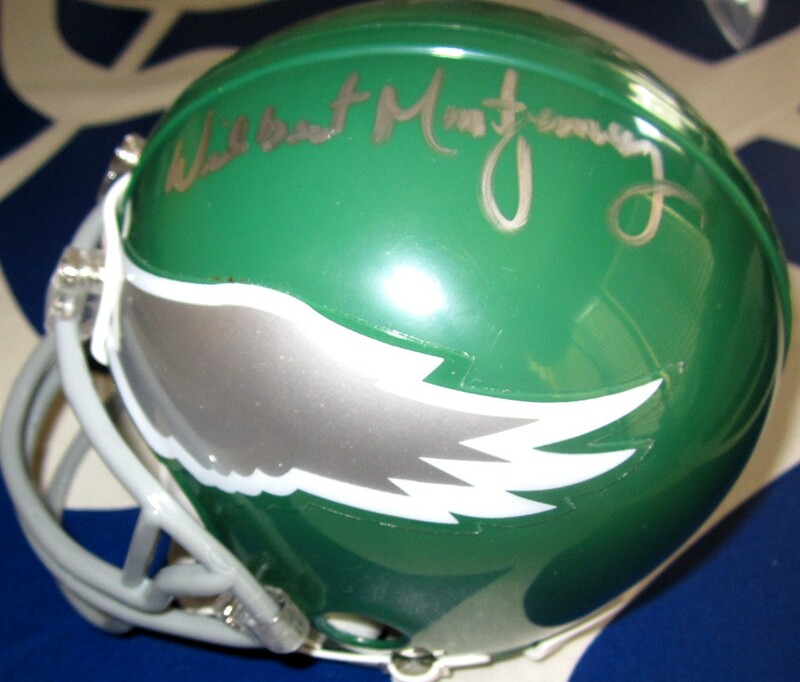 Philadelphia Eagles throwback mini helmet autographed on opposite sides in silver by former superstar quarterback Ron Jaworski and running back Wilbert Montgomery. 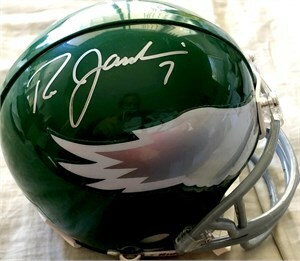 Both autographs obtained in person, with certificate of authenticity from AutographsForSale.com. ONLY 2 LEFT.